My personal experience with KNPUSA (applying for 501(c)(3) tax exempt status for the Marana Middle School PTO) was extremely positive. It was a very smooth process. From our initial contact with Eileen, I felt confident that we were working with the right company and with the right people. Eileen was always extremely attentive to the needs of our organization, as well as being readily available to answer any and all questions that we had over the subsequent weeks. She went above and beyond to research and gain accurate answers and provided suggestions that helped us get approved by the IRS without any supplementary information being required after our initial submission. Her professionalism made a potentially stressful application process an unusually pleasant experience. I had attempted to do the 501(c)(3) application on my own and ran into roadblocks. 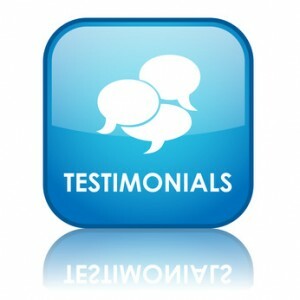 KNPUSA had the expertise to handle all of it quickly and efficiently - I will use KNPUSA again without hesitation. We believe that KNPUSA's standard of excellence does not change from one client to the other (we are a smaller organization but were never treated that way) and we would certainly welcome the opportunity to work with them again should the need arise. I, on behalf of the Marana Middle School PTO, highly recommend their services to other youth organizations. KNPUSA was instrumental in helping me obtain our club’s 501c3 status, non- profit incorporation, and bylaws. They became my shepherd throughout the process and were always considerate, reliable, available, responsive and above all a pleasure to work with. KNPUSA consultants discussed strategy, answered a plethora of questions, responded to every phone call and email and notified me when they received pertinent documents. With a completed streamlined application, the IRS approved our 501(c)(3) status in just one month! Thank you for your commitment to our individual process! KNPUSA held our hand the entire way. It is clear that they are an expert in what they do. Our paperwork was turned around quicker than anticipated and we were up and running with our 501(c)(3) status very quickly. Without KNPUSA we would have been lost and overwhelmed. They made it simple and easy and answered every question I had with a sense of urgency that was indicative of the type of people focused organization they are. I will definitely use them again should the need arise!